Lettuce is easy to raise. So are fish in a tank. Connect the two and you've got aquaponics — a simple concept that has given rise to such systems sprouting in backyards, on apartment lanai and at schools all over Hawaii in recent years. But a bigger impact could be in commercial farming, given that aquaponic crops grow faster while using less land, water and labor. They're also organic. Clyde Tamaru, an aquaculture specialist with the University of Hawaii, said producing aquaponic vegetables, fruits, herbs and fish is a potential paradigm shift for Hawaii agriculture. "We have to look at this as a food-producing mechanism that addresses the limitations of arable soil and water facing our state," he said. "It's sustainable and self-reliant." Several commercial-scale aquaponic farms have been founded in Hawaii over the past five years, and interest continues to grow with the promotion of training and sales of systems that are relatively easy to build. Some operations appear promising, though others have stumbled badly or failed, including one now-defunct farm that invested more than $500,000. "It's an emerging technology," Tamaru said. "The big question right now is whether it is commercially feasible." At a very basic level, the symbiotic fish-produce relationship works like this: Water from fish tanks is piped to plants that extract nutrients from fish excrement while cleansing the water before it returns to the fish tanks. The loop setup conserves water and produces organic crops at a faster rate than soil-grown plants. The only major input is fish food. While lettuce is one of the quickest and simplest to grow, aquaponic farmers have had success with all kinds of fruits, vegetables and herbs — including blueberries, melons, watercress, tomatoes, basil and cilantro. Tropical freshwater fish — primarily tila­pia — are the fertilizer source and can be sold for human consumption when they reach market size. Researchers and farmers also are exploring saltwater systems to grow plants like ogo using shrimp or fish such as awa (milkfish). Plant and fish farming, however, entail harsh realities — including disease, pests, food-safety requirements and buyer demand — that can upset or wipe out an aquaponic farm. Other, more unique issues, such as effects of water movement known as hydrodynamics, also make success tricky. 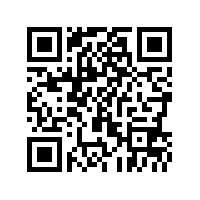 Experts in hydrodynamics as well as plant biology, horticulture and aquaculture can help. In fact, UH scientists have been instrumental in helping entrepreneurs start farms. But it's still a relatively new frontier integrating the different disciplines plus economics to create a viable commercial aquaponic model, local farmers and researchers say. "We don't know if growing (aquaponic fish and produce) commercially is going to work out or not," said Dan Ching, a general contractor who began aquaponic production last month in part because construction activity has been slow. 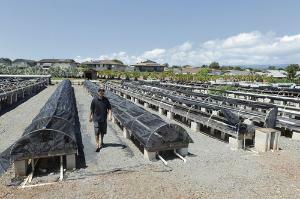 Ching leased a former plant nursery in Wai­anae, which he named Ili­ili Farms, to grow lettuce, basil, watercress and bok choi in 11,520 square feet of planting beds connected to three 5,000-gallon tanks stocked with tila­pia. He also is developing a photovoltaic farm on the site to sell electricity as a hedge in case aquaponics doesn't pan out. The International Specialised Skills Institute of Australia has studied academic and commercial aquaponic efforts across North America, and concluded in a 2010 report that a relative dearth of knowledge existed in the face of growing worldwide interest. "The speed and extent of (aquaponics) growth is limited … by deficiencies in technical knowhow in dealing with the myriad of biological, physiochemical and hydrodynamic interactions in aquaponic systems," the report said. This situation has made Hawaii entrepreneurs part of a pioneering group around the world trying to establish aquaponics as a major agricultural industry. 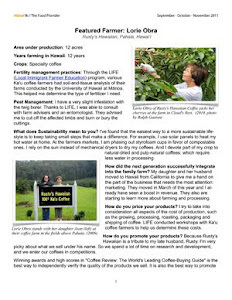 Along with Iliili Farms, commercial aquaponic farms operating or under development in Hawaii include Kunia Country Farms, Hale­iwa Aquaponic Farms, Mari's Gardens and Living Aquaponics Inc.
One of Hawaii's earliest adopters was Friendly Aquaponics in Hono­kaa on Hawaii island. Tamaru at UH believes Friendly touched off the commercial aquaponics trend in the state. Tim Mann and Susanne Friend had an architectural design firm that was withering in 2007 as the economic downturn unfolded. The married couple with six children sought to start a new business less susceptible to recessions, and decided food was the answer. After looking into aquaculture, Mann learned about a University of the Virgin Islands professor teaching aquaponics. Mann took the course, returned home and started building a system. Then he painfully learned that transferring largely academic knowledge into a business required major adjustments, especially in Hawaii where costs are high. It cost $60,000 to build an initial, fairly large system using tila­pia to grow lettuce. The lettuce grew like crazy, but it wasn't practical to deliver 20-pound lettuce packages to stores around the island every week, Friend said. "We had so much lettuce but we were losing money," she said. "We gave it away hand over fist. We ended up feeding most of it to my goats." Tilapia also weren't profitable because of low prices on Hawaii island. By the end of 2008, Mann and Friend were drowning in debt largely from building a $739,000 home and $200,000 invested in the new business. The pressure, Friend said, led them to try growing marijuana in their aquaponic system. Half a year later, in August 2009, Friendly landed Costco as a customer and began delivering 400 pounds of lettuce to the store in Kailua-Kona every week. The farm was making a profit selling organic lettuce for $6.99 a pound — $1 less than a mainland brand, Friend said. "We were on our way," she said. "The demand was so great." Annual revenue in the first year with Costco was $96,000 and headed toward $200,000 in the second year, Friend said. Expansion plans were drawn up to produce 1,400 pounds of lettuce a week. But then federal Drug Enforcement Administration agents came calling. "I was trying to save my farm in a stupid way," Friend said. "We sullied our name." Friend and Mann had agreed to grow marijuana for Roger Christie, a Hilo resident and church founder who promoted marijuana use under religious freedom. Friend and Mann, along with Christie and others, were arrested in July 2010. Costco dropped Friendly in May 2011 after instituting a food-safety program that has yet to OK aquaponic produce. Friend and Mann pleaded guilty in March to charges that could land them in prison for five to 40 years when a federal judge sentences them in December. Their company, however, has stayed in business by selling aquaponic systems, manuals and training workshops. Friend said she and Mann are two or three months away from restarting crop sales with a value-added food item that she doesn't want to publicize yet for competitive reasons. Despite their business and criminal troubles, Friend and Mann have taught many others about commercial aquaponics, including a farmer in China who grows ginseng. In Hawaii, Friendly helped organic farm Olo­mana Gardens in Wai­ma­nalo branch into aquaponics. Zac Hosler, owner of Living Aquaponics in Captain Cook, is another Friendly student. Hosler started his farm about 18 months ago after moving from California where he bought, fixed up and sold homes. The farm produces 350 to 500 pounds of lettuce, green onions and bok choi weekly using 3,500 square feet of planting beds. Hosler plans to soon add another 1,200 square feet of planting beds toward a goal of 40,000 square feet over the next five to 10 years. He said his farm is profitable. Others haven't been as fortunate. Maui Aquaponics LLC started lettuce and tila­pia production in 2009, investing more than $500,000 in the operation. Prospects were great, especially with hotels paying $5 per pound for the fish. But Maui Aquaponics lost business as it ran into difficulty and delay obtaining food-safety certification required by most big retail customers, according to company principal Ed Cichon. "It was really disenchanting," he said. Another farm, Simply Aquaponics Hawaii, had success growing basil on Hawaii island but couldn't land buyers. Today, Simply Aquaponics is largely focused on selling backyard and commercial aquaponic systems. Oahu aquaponic farmer Fred Lau also knows about the challenges of gaining and keeping customers. Lau was producing 4,000 pounds of lettuce a month at his farm, Mari's Gardens in Mililani. But after mildew wiped out his crop for a couple of months earlier this year, one customer who had been buying half of Lau's lettuce crop switched to a mainland supplier and won't give Lau another chance. "That really hurt," he said. Mari's is Hawaii's largest aquaponic farm, according to Tamaru. Lau has 32,000 square feet of grow beds spread over an acre of land. Lau, a landscape nursery owner, expanded into aquaponics in early 2010 concentrating on lettuce, tomatoes and cucumbers connected to tanks housing 30,000 tila­pia and Chinese catfish. He also has experimented with strawberries, blueberries, watercress, taro, spinach, sweet potato, green onion, beets, basil, mint and cilantro. Growing ogo connected to saltwater tanks filled with shrimp is in the works. Lau said his aquaponic operation, which cost about $400,000 and is led by his son Brendon, turned its first monthly profit late last year before the mildew disaster. But to date, it remains a developmental-stage enterprise in the red. Over the next six to nine months, Lau plans to study the economics of his fish and produce farm, then decide whether to triple in size. "We don't really know what we're doing," he said. "This is all still developmental. I'm hoping it can be profitable. I think it can be very profitable."